The Marquette County Solid Waste Management Authority continues to expand the County recycling program for the benefit of our constituents. We are excited to announce that we can now offer FREE, confidential document destruction to businesses and residents! 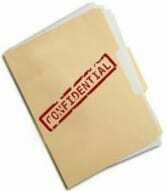 We will manifest and securely transport confidential documents to a secured site for destruction if the documents are delivered to the Marquette County Landfill. Your sensitive documents will be sent to a recycling facility in Green Bay were they will be washed and dissolved into paper pulp, (a watery substance used to make paper). Once the paper is pulp again, it is treated and dried to create new paper! Processing is by appointment only. Proper notice by 2:00 p.m. on the day preceding delivery is required. Receipts from the Authority intake are furnished at no cost. The documents are required to be in a sealed cardboard “copy paper” or banker’s boxes. Unsealed containers will not be accepted. Please remove all metal larger than paperclips and minimize plastic. DO NOT include media such as floppies, CD’s, and DVD’s. If you have any questions about confidential documents or other recycling opportunities call 249-4125. There is a $25 charge if you would like copies of all applicable processing documents including individual Certificates of Destruction and manifests from our secured holding containment, secured transportation, and final document destruction in a secured, bonded facility. The single $25 charge for documentation covers as many boxes as you would like to bring in a day and is not required for secure disposal. The $25 charge can be paid by check only​ payable to Marquette County Solid Waste.